Decided to take a day off and make the most of this glorious, if slightly bizarre, October heatwave. 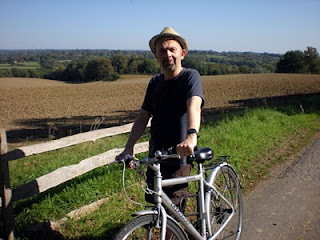 My wife and I cycled up a crazy amount of hills to get to Horstead Keynes, a pretty little village in the Sussex Downs. When we got there, we found a pub with a name that should ring a few bells with Hall of Mirrors fans.